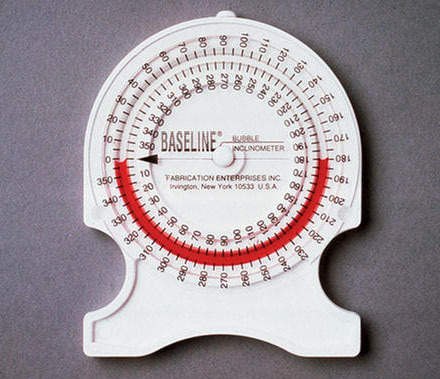 Place inclinometer near joint to be measured, turn dial until scale reads 0, take joint through its range, and read range traveled directly from dial. 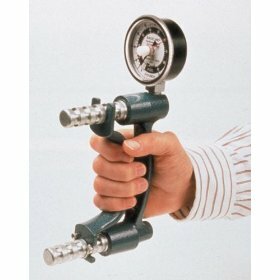 Accurate grip strength readings without being able to "feel" handle move. Ensures reliability, user convenience, and measurement repeatability. 5-position, adjustable handle can accommodate any hand size. Maximum reading remains until unit is reset. Readings in pounds and kilograms. Includes molded carrying case. CE certified. 1-year warranty. Portable carrying case contains all instruments necessary to evaluate the strength and range of motion of the hand and fingers. 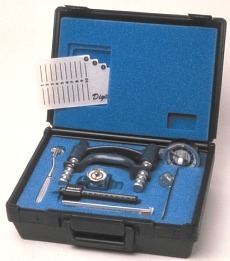 3-piece set includes hydraulic hand dynamometer, hydraulic pinch gauge, 6" stainless-steel finger goniometer, 2-point discriminator with third point, Wartenberg pinwheel, finger circumference gauge, functional finger motion gauge, and carrying case. 200-lb. standard set. 50-lb. 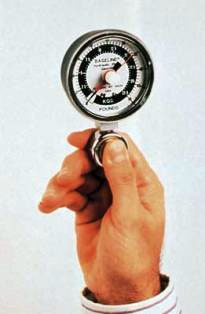 hydraulic pinch gauge offers accurage and repeatable pinch-strength measurements. 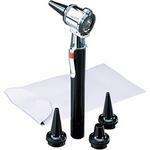 Plastic otoscope head with three aural (small, medium and large) and one nasal push-fit specula; Sterilizable and autoclavable. 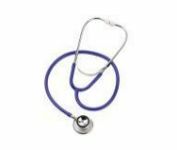 Chrome-plated brass binaural; Lightweight, anodized aluminum chest piece; 22� vinyl Y-tubing; Spare diaphragm; Pair of mushroom ear tips; 30� overall length; Available in black and blue.